Erratic Phenomena: Andrew Hem, slinging paint from Culver City to Colombia! 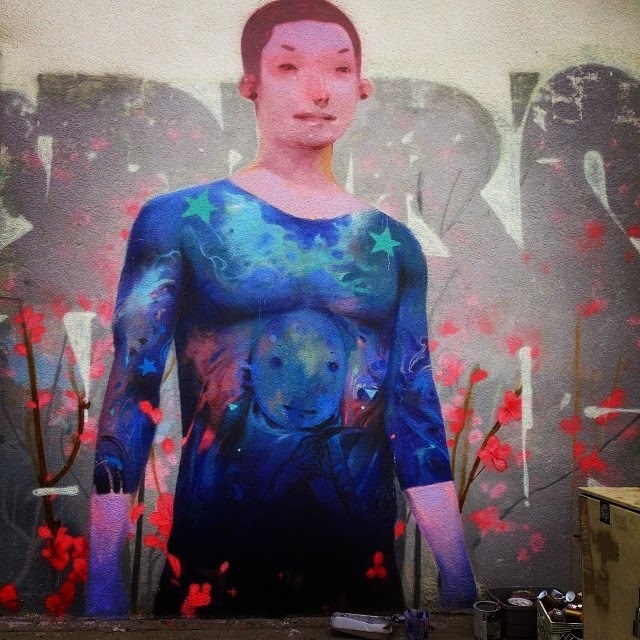 Andrew Hem, slinging paint from Culver City to Colombia! Last but not least, I wanted to share with you a small but evocative mural Andrew recently completed in his hometown, Culver City. You can find it on Fay at Washington, if you're in the neighborhood. Like many of his paintings, "Jacuzzi" celebrates Andrew's love of Yakuza-style body art and graffiti fonts, as well as the wild beauty of nature. 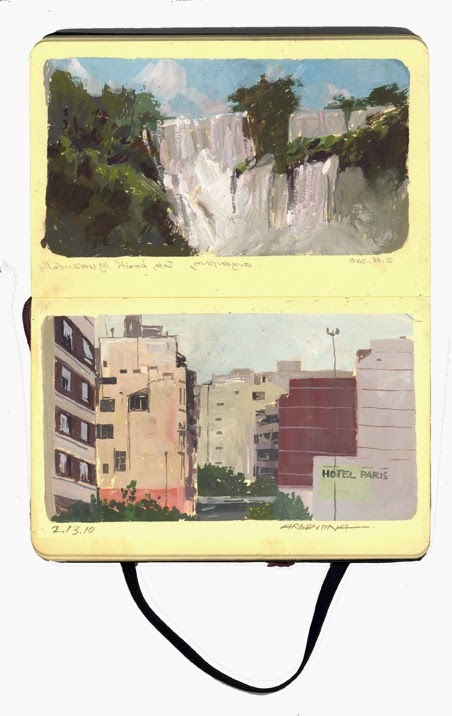 Stay tuned for a mural in another hemisphere — in Bogotá, Colombia, to be precise — when Andrew travels there for his four-day moleskine landscape painting lecture, later this month!